Dr. Joel Todd Leroy Prince is a board-certified small-animal practice veterinarian with more than 25 years of experience. Based in Illinois, Dr. Joel Todd Leroy Prince serves as a partner at Elmhurst Animal Care Center. 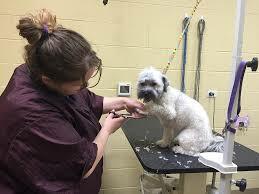 He has also provided services to the Naperville Animal Hospital and Springbrook Animal Care Center. The Elmhurst Animal Care Center provides a full suite of veterinary services designed to support health and wellness in cats, dogs, birds, reptiles, and other animals. Preventative care ranks among the center’s top priorities, as effective measures can block the development of more complex medical issues in the future. Preventative care plans at Elmhurst address various areas of vulnerability, from grooming to medical support. Care plans include a limitless supply of free office visits, during which time families can take advantage of special discounts on nail trims and baths. Physical examinations are administered by a licensed staff veterinarian and include comprehensive testing and early screening for serious illnesses. Furthermore, preventative care plans enhance an animal’s health through high-quality vaccines guaranteed to work for the prescribed duration. To learn more about preventative care plans at Elmhurst Animal Care Center, please visit the organization online at www.elmhurstanimalcarecenter.com. What Is a Cat-Friendly Practice? For over 25 years, Dr. Joel Todd Leroy Prince has practiced preventative veterinary medicine and surgery addressing soft tissue health issues. Dr. Joel Todd Leroy Prince treats small companion animals at Elmhurst Animal Care Center and Springbrook Animal Care Center in Illinois. Both clinics are certified Cat-Friendly Practices by the American Association of Feline Practitioners (AAFP). Many cats fear going to the vet, and the stress of the experience can take a toll on both the animal and the owner. In response, the AAFP developed a checklist and certification program for animal healthcare practices looking to make their clinics more suitable for cats. Veterinary care centers that provide this type of environment can earn AAFP’s Cat-Friendly Practice certificate. In Cat-Friendly Practices, at least one veterinarian is a member of the AAFP. Other staff members must complete professional development modules on feline-specific pain management and treatment strategies. The waiting area and examination room must also meet certain criteria, such as separate areas for cats and dogs. Veterinarians may also employ innovative handling techniques and place calming feline pheromones into the environment prior to examinations. Joel Todd Leroy Prince works at the Elmhurst Animal Care Center, performing small animal veterinary services. Dr. Joel Todd Leroy Prince earned his doctoral degree in veterinary medicine from the University of Illinois, graduating in 1984. The veterinary degree at the University of Illinois is a four-year graduate program that prepares students for careers in the field. In the first year, students take courses on the structure and function of animal bodies, completing a semester of clinical practice during the fall. In the second year, students move on to pathobiology studies and complete a clinical practice, as well as their first milestone exam, during the spring. The third year teaches students about veterinary medicine and surgery, and, in addition to the yearly clinical practice, adds a second clinical practice during the summer session. During the final year, all semesters are dedicated to clinical practice rotations. 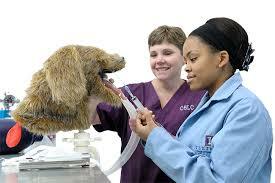 These focus on narrower elements of veterinary work, with a clear eye toward specific species or disciplines. ​A board-certified veterinarian with more than 30 years of experience, Dr. Joel Todd Leroy Prince serves as a partner in Elmhurst Animal Care Center in Illinois. Dr. Joel Todd Leroy Prince provides care to small animals and is experienced in treating a number of common issues in cats. If a cat is scratching more than usual, chewing its skin, or moving around more often than it typically does, the animal may be dealing with fleas. One of the most effective ways to get rid of fleas is with spot-on treatments - insecticide drops that are usually placed between the cat’s shoulder blades. 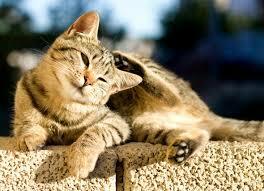 Through its natural grooming process, the cat will spread the treatment over most of its body. While this powerful treatment can usually kill fleas and eggs, older cats or cats in poor health may not tolerate it well. In these cases, veterinarians recommend a multiphase approach with oral medicines that disrupt the flea life cycle by preventing them from reproducing, and direct methods such as flea shampoos and flea combs to rid cats of the existing infestation. Board-certified small animal veterinarian Joel Todd Leroy Prince serves as a partner with Elmhurst Animal Care Center in Elmhurst, Illinois. The Chicagoland practice includes offices in Glen Ellyn and Naperville. Dr. Joel Todd Leroy Prince cares for numerous dog and cat breeds, as well as smaller pets like rabbits, guinea pigs, and birds. - Make loose hay, rather than pellets, the central part of your bunny’s diet. A fiber-rich diet, including dark, leafy green vegetables like romaine lettuce, supplemented with pellets, is best for a rabbit’s digestive tract. While carrots in quantity are too sugary to be good for bunnies, it’s fine to give your rabbit an occasional small piece of carrot as a treat. - Housing rabbits indoors is preferable, since outdoor rabbits can become targets for pests and predators. Choose a cage that does not have irritating wire mesh on the bottom, with enough room for your bunnies to move about and hop freely. In addition, give them a few hours a day outside the cage. - Bunnies need entertainment just as other mammals do, so provide some stimulating toys. Rabbits also tend to be happier paired up rather than living alone. 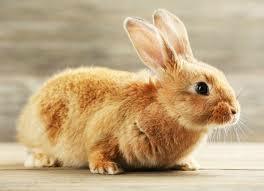 - When ill, rabbits stop eating and can decline quickly, so regular veterinary care is vital. Since 1984, Dr. Joel Todd Leroy Prince has practiced as a board-certified veterinarian. A partner at several Illinois-based veterinary clinics, Dr. Joel Todd Leroy Prince is a member of the American Veterinary Medical Association (AVMA). A nonprofit trade organization, the AVMA has represented and advocated for the veterinary profession since 1898. With more than 91,000 members, the association offers a wide range of professional development resources in addition to access to industry events. One upcoming event, the American Veterinary Medical Association Convention, is scheduled for July 13-17, 2018. An annual event, the AMVA Convention provides industry professionals with a networking platform and showcases innovative products and services in the veterinary field. Moreover, participants have the opportunity to attend labs, panels, and other educational workshops in content areas such as companion medicine and practice management. This year’s convention will be hosted by the Colorado Convention Center in Denver, Colorado. For additional details or to register, visit www.avma.org. Dr. Joel Todd Leroy Prince practices veterinary medicine at four practices near Chicago. Board-certified in small animal practice, Dr. Joel Todd Leroy Prince focuses on providing high-quality preventive care for dogs and cats. A common diagnosis in cats, urinary tract disease refers to a variety of conditions that affect the bladder and the urethra. It may stem from a variety of causes, including infection or obstruction. If a cat has risk factors for urinary tract disease or if symptoms stem from a condition prone to recurrence, prevention plays a key role in the cat's health. One of the simplest, most effective protective measures is ensuring cats drink plenty of water. Clean, fresh water should be available to them all hours of the day. If a cat is reluctant to drink, running faucets or fountains can provide encouragement. Moistened food can also help ensure a cat stays hydrated. There are certain foods specially formulated to prevent urinary tract issues, and it's best for an owner to choose one of these foods if a veterinarian recommends it. Moistened dry food or wet food can be a good general preventive step. 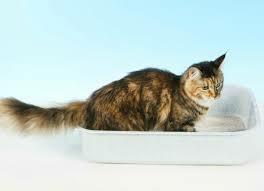 Owners need to keep litter boxes clean and fresh to ensure cats are willingly to use them. This is often easier to do with multiple litter boxes, particularly if there are multiple cats in the household. Multiple boxes can also help cats feel undisturbed, which encourages proper urinary habits. A board-certified small animal veterinarian, Dr. Joel Todd Leroy Prince maintains a particular interest in oncology and orthopedics. Dr. Joel Todd Leroy Prince applies his in-depth knowledge in both areas as a staff member at several practices in and around Elmhurst, Illinois. Osteosarcoma stands out as the bone cancer type most commonly diagnosed in dogs. It is a very aggressive cancer with a high likelihood of metastasis, defined as a spread to other parts of the body. Although it can be found in any breed and age of dog, osteosarcoma is most common in large breeds and older dogs. It typically originates in the bones of the leg, although in rare cases it may develop first in the vertebrae or the bones of the skull. Dogs with osteosarcoma most often present with lameness, which is mild at first but worsens as the disease progresses. The disease can also cause swelling or discomfort, which tends to increase gradually unless the affected limb suffers a fracture. If this happens, the dog is likely to show sudden signs of severe pain. The prognosis for a dog with osteosarcoma is generally poor, although there are treatments that can improve the dog's quality of life and even prolong life itself. Surgical amputation is the most common treatment, provided that the dog's remaining limbs are strong and free of disease, as dogs with these characteristics tend to adapt well to life with three legs. Dogs that cannot undergo amputation may be eligible for a limb-sparing procedure, although this is only an available option if the tumor is in an accessible location. After the dog undergoes surgery, the veterinarian may recommend chemotherapy. This can extend the dog's life expectancy to as much as two years, as opposed to approximately 182 days with surgery alone. There are also a number of radiation treatments and other drugs that can reduce the pain associated with an osteosarcoma. As is true for all other treatments, selection of one or more of these drugs depends on a dog's individual needs. Active with the American Veterinary Medical Association, Dr. Joel Todd Leroy Prince is a longtime veterinarian based in Elmhurst, Illinois. Emphasizing proper care, Dr. Joel Todd Leroy Prince advises pet owners on how they can ensure a healthy home environment for their aging pets. Many older animals experience a loss of appetite as they age, due to their diminishing senses of taste and smell. For owners of older cats, experts recommend putting out smaller amounts of food more often throughout the day, up to four to six times. Many owners have found success in thinking beyond the familiar cat food entrees and mixing up the flavors with tastes that will pique the cat’s interests. At the same time, experimenting with a large number of varieties in search of "the one” can provide too much choice and be overwhelming for the cat. If the food has been in the refrigerator, gently warm it to room temperature to increase its palatability. 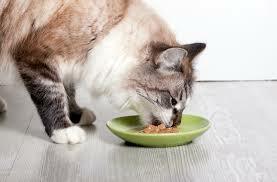 Avoid leaving wet food out for more than an hour if the cat does not eat it. If the loss of appetite is persistent, consider visiting a veterinarian to check whether a more serious underlying health condition may be the cause. ​Dr. Joel Todd Leroy Prince is a partner at the Elmhurst Animal Care Center in Elmhurst, Illinois. In this role, Dr. Joel Todd Leroy Prince, alongside a team of knowledgeable and experienced veterinarians, provides a broad range of animal health care services for cats and dogs of all ages. 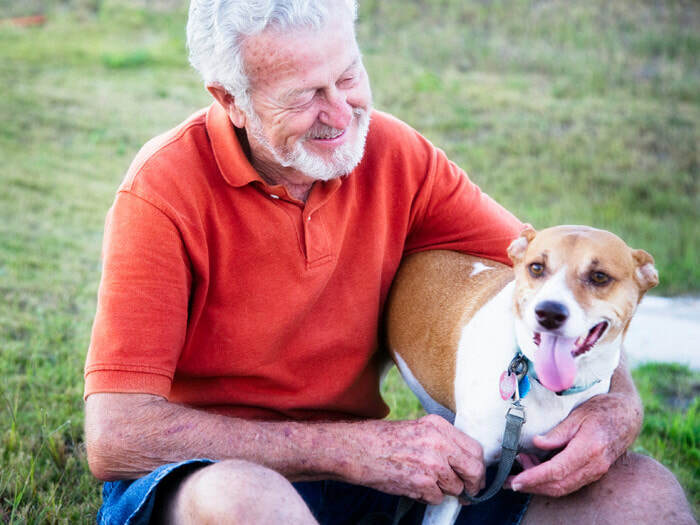 Senior pet health services at the Elmhurst Animal Care Center blend general pet care with specialized services designed to benefit older animals. 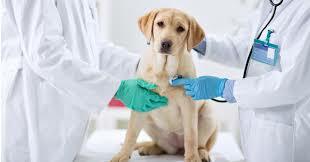 Basic offerings for senior pets include thorough physical examinations and boosters for all required vaccinations. More advanced senior pet care, meanwhile, includes comprehensive diagnostic testing, dental analysis, and advanced nutritional counseling. Veterinarians can also discuss with owners of older pets pressing topics such as workable solutions for chronic pain and preventive steps that can be taken to mitigate future issues. Pet owners are urged to contact senior pet care specialists should an older dog or cat demonstrate sudden changes in eating patterns or behavior. For more information regarding senior pet services, or to learn about other services and offerings, please visit the Elmhurst Animal Care Center website. With more than two decades of experience as a veterinarian, Dr. Joel Todd Leroy Prince serves as Partner with Elmhurst Animal Care Center.